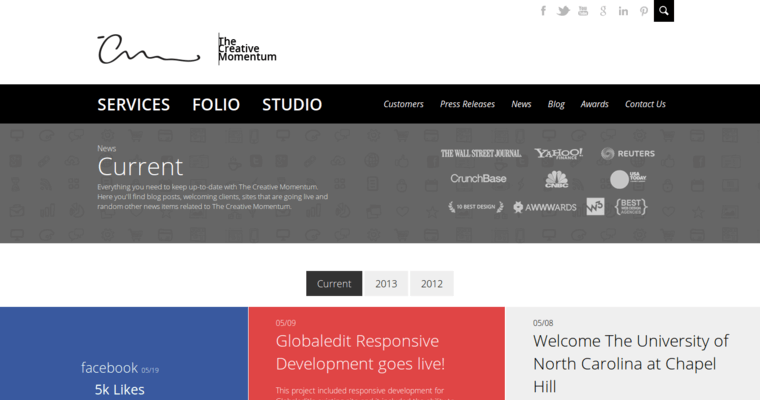 The Creative Momentum is a web design and marketing firm based in Atlanta that has several unique and powerful features to offer its clients. 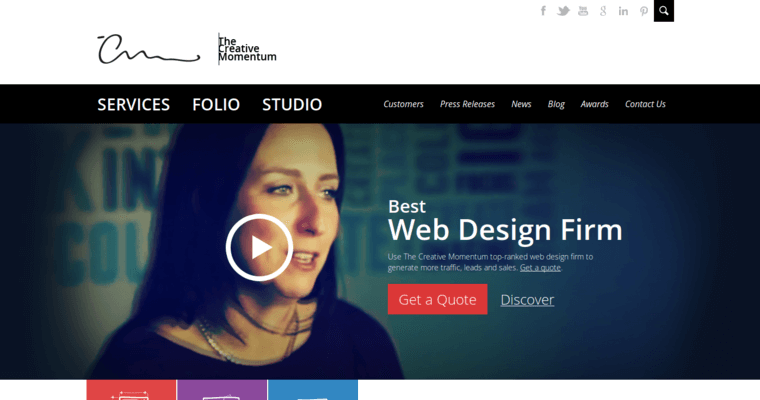 With responsive web development (creation of websites that fit the screen they're displayed on, whether that screen is a personal computer or a handheld phone or tablet), a deep sense of style and efficiency, and strong technical SEO knowledge, the team at The Creative Momentum is able to make their clients' web presence as cost-effective as possible. The Creative Momentum also offers explainer videos, which have taken off as a genre in recent months; explainer videos make difficult concepts - or even just what their clients' products as services are and can do - more easily understood to their audience. 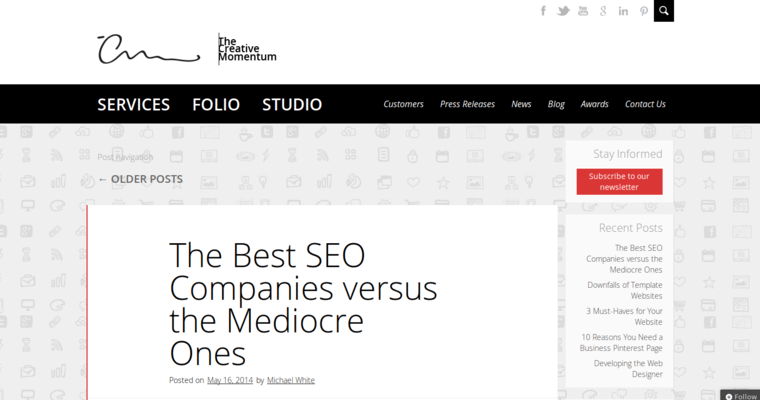 The Creative Momentum is very much focused on making user experience pleasant, attractive, and interesting, working to retain attention and communicate information as cleanly and efficiently as possible.